Happy March! Are you feeling lucky? I hope so! As a gal of Irish descent, I love celebrating St. Patrick’s Day. Happy March! Are you feeling lucky? I hope so! As a gal of Irish descent, I love celebrating St. Patrick’s Day. So, as we sit down together to share a song and clink our glasses of green beer, I have some advice to share about luck that I’ve learned in my life, mostly the hard way. First of all, I believe we make our own luck. For me, I was not feeling so lucky all those years ago when I was a young, newly single mother, with no job. But you know what, I pulled myself up by my bootstraps, started working in the credit industry, cleaned up my own finances, and created a career for myself. Although that was a tough time in my life, I now feel lucky to have gone through that period. I wouldn’t have my daughter, my career, my company or the chance to be here with you now, had all that not happened. Set some goals – What’s your ‘why?’ Why do you want to have better credit and have a better relationship with money? For many of us, it has to do with security, to feel safe financially and to have some freedom as well. If money and credit issues keep you up at night, make a list of some goals – like pay down debt, save for a home, start an emergency fund, or buy a car. It’s these goals that will keep you motivated to change your luck with money and credit. Check your credit – By checking your credit report you will know what your starting point is. Yes, it may be intimidating, even scary, but go ahead, take a look and establish your starting point. Once you know what’s on your credit report, make sure all the information, balances, and accounts are accurate and familiar to you. If there are any inaccuracies, you need to contact the creditor and credit bureau right away and get those items corrected. You can access your credit report by visiting www.myfico.com or www.annualcreditreport.com. 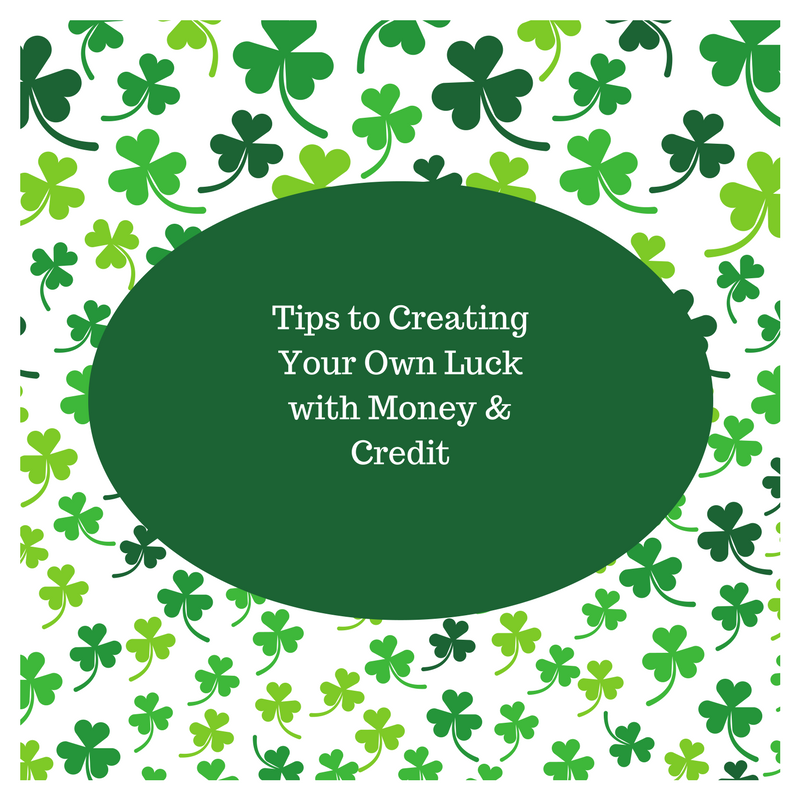 Create lucky habits – By practicing just a few great habits when it comes to your money and credit, you will improve your credit score, pay less in interest charges and begin feeling luckier with your money. Make sure to pay all your bills on time and in full. Use your credit cards wisely and pay down all your revolving credit lines to 20 percent or less of your credit limit. If practiced over time, you will see your credit score improve.